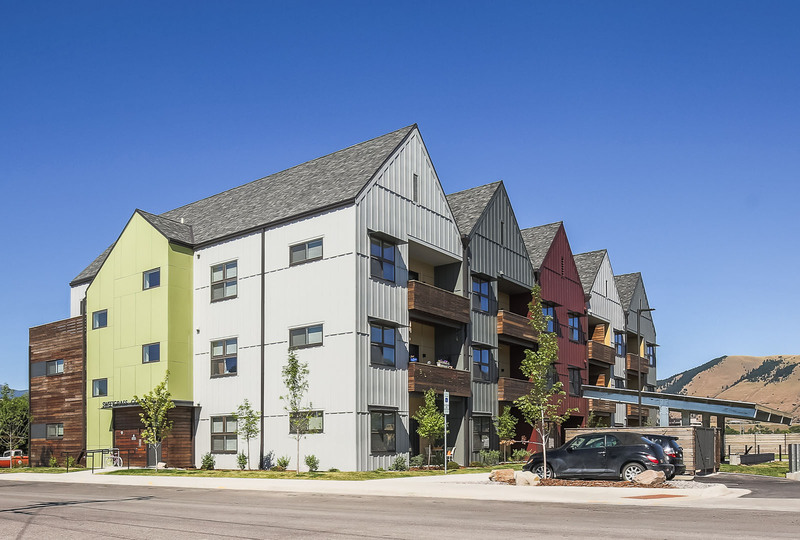 Sweetgrass Commons is a 27 unit affordable apartment building in the core of Missoula. The project occupies the western boundary of the Old Sawmill District, an area of transition. Historically, the Champion Sawmill was the heart of the city and the center of industry. Left in decay since its closing in 1990, it is now being revitalized as a dense, walkable, mixed use neighborhood of three and four-story condominiums and townhouses. 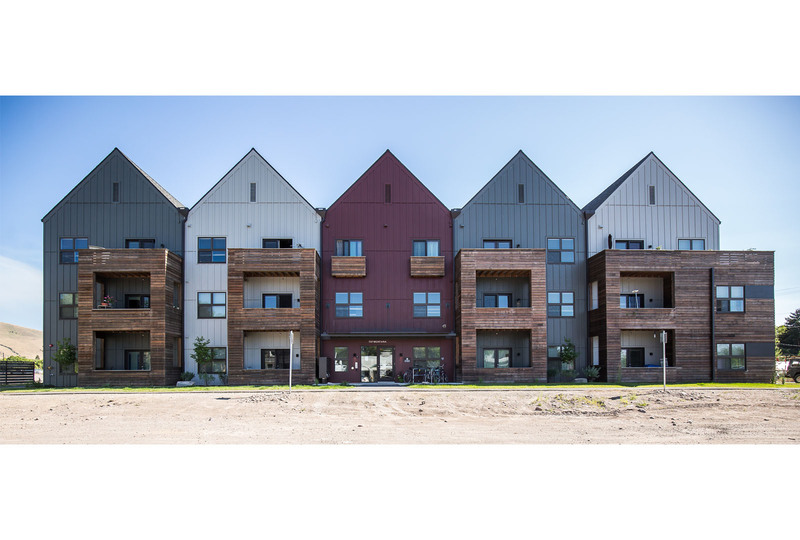 Most of the development thus far has been high-end; Sweetgrass Commons is the first subsidized housing and will serve residents below 60% Area Median Income. To the north and west of the project site is an existing neighborhood of small homes, gardens and greenhouses, mobile homes, and storage units. Some of these properties are being redeveloped at higher density as the Old Sawmill District begins to be built-out. Many Missoula amenities – such as the Clark Fork River and trails, the Good Food Store, Ogren Stadium, and McCormick and Silver Park – are nearby. 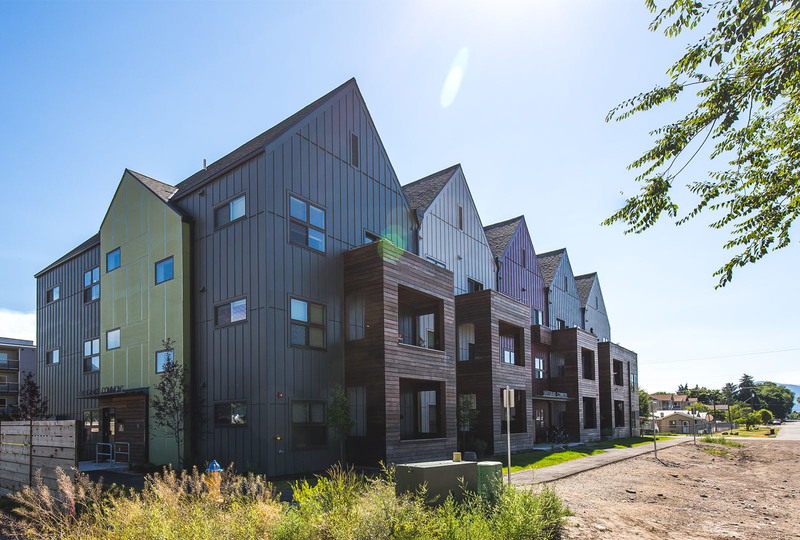 The distinct multi-gabled design of Sweetgrass Commons breaks down the scale of the project and provides an architectural transition from the denser, more urban buildings of the Sawmill District to the existing lower density neighborhood to the south and west. Board and batten was used to clad the apartments, and a panel system was used at the stair tower projections and the southern inset porches. The colors were inspired by the lichen covered granite boulders found in the surrounding mountains. Industrial steel and wood slat detailing pays homage to the site’s heritage as a working mill and provides clear focal points at the entries. 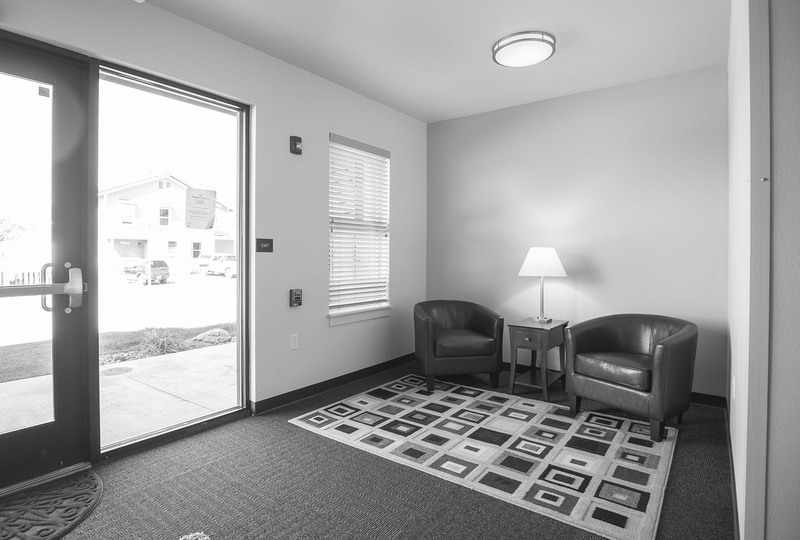 Sweetgrass Commons has a mix of studios and one, two, and three bedroom apartments. 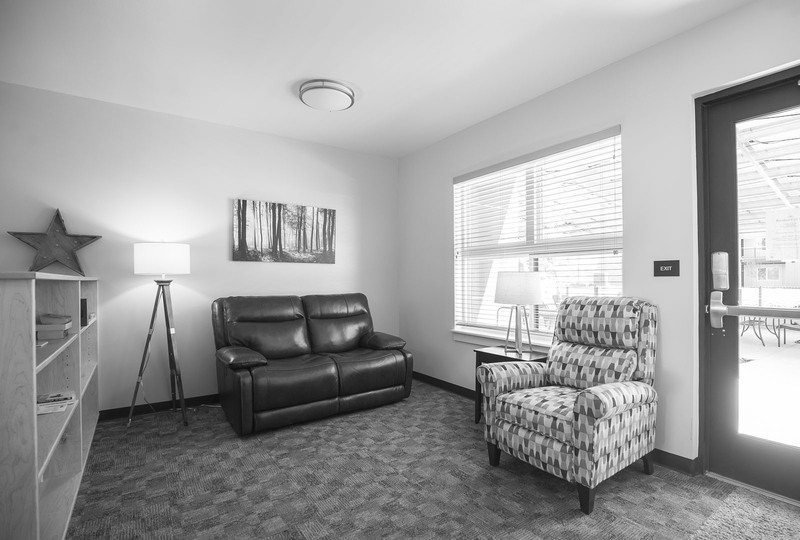 Special care was taken in designing the building with Universal Design principles. Ten of the units are fully accessible and the rest are adaptable. Each unit has a simple, open, floor plan and a private balcony providing views and connection to the landscape. Oversized windows and 9′ ceilings fill the rooms with light and make their small square footages feel generous. A photovoltaic canopy in the rear courtyard will provide both electricity for the building and a shaded outdoor place for residents to enjoy. The computer lab and library area provide space for residents to meet up or access media and connect to the larger world. Below grade parking was a key strategy to allow green space and other amenities on site while maintaining the residential density that was practical for the project. 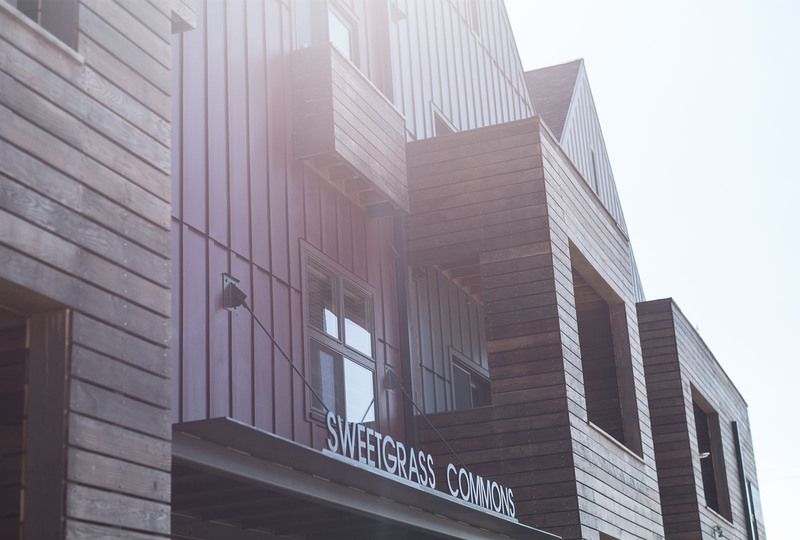 Sweetgrass Commons meets Enterprise Green Communities standards. 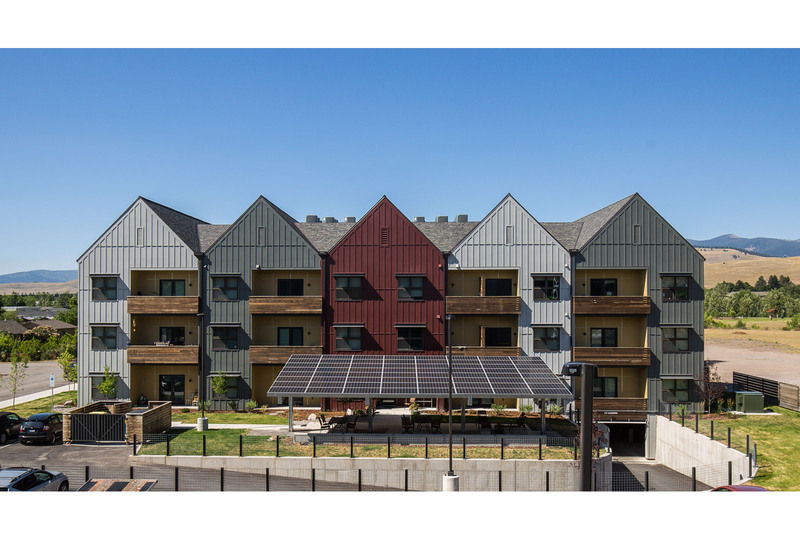 These criteria are designed by Enterprise to “improve the health and well-being of low-income people by transforming the quality of affordable housing in America.” The Green Communities checklist included many resident amenities such as non-paved open space and locating the project within one half mile of public transportation. 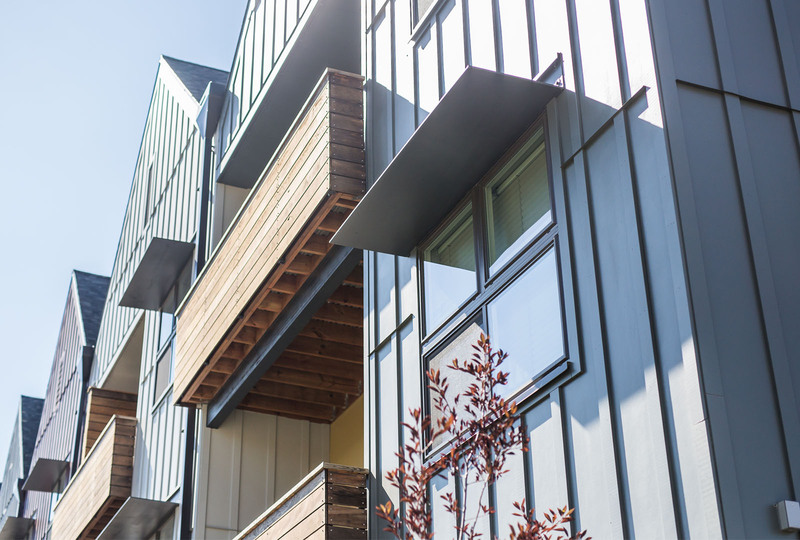 Certification also required that every unit meet the ENERGY STAR requirements, achieving a HERS Index score of less than 85, using 50% regional lumber, and incorporating healthy, low VOC paints and adhesives. 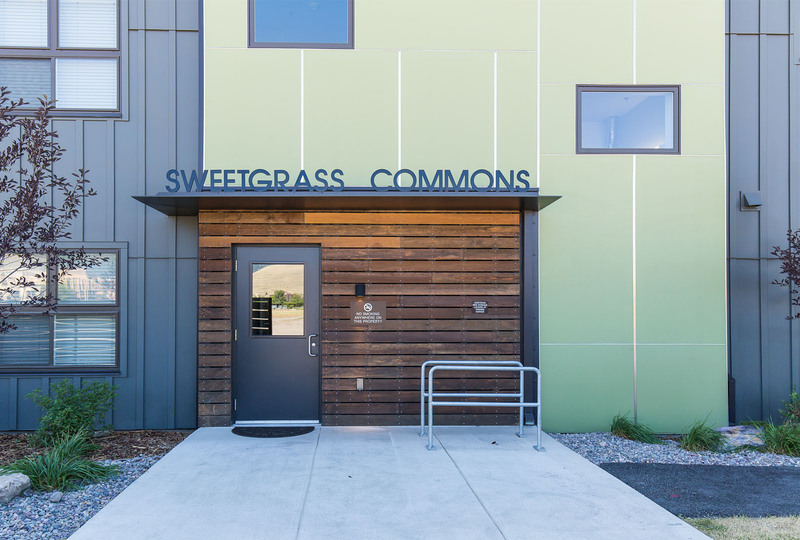 Sweetgrass Commons was designed and built for Homeword, an affordable non-profit housing developer based in Missoula. 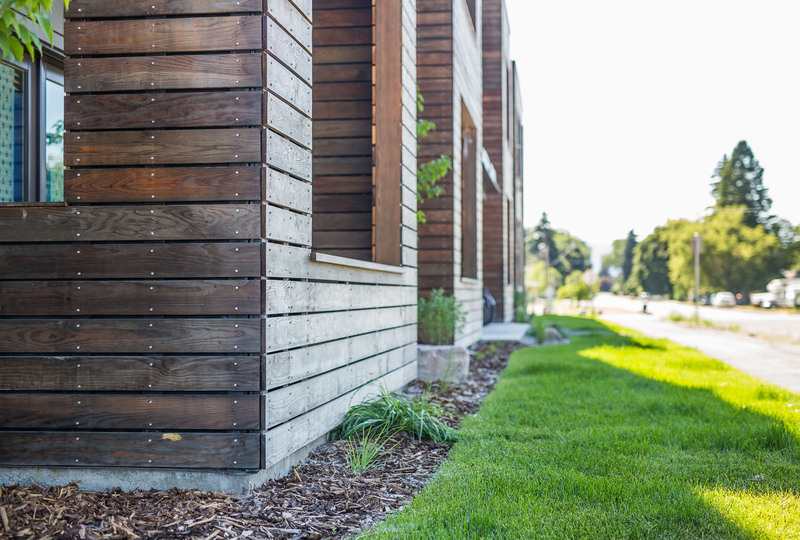 Homeword believes that affordable housing can be a beautiful, sustainable, and strong contributor to the city’s urban design. 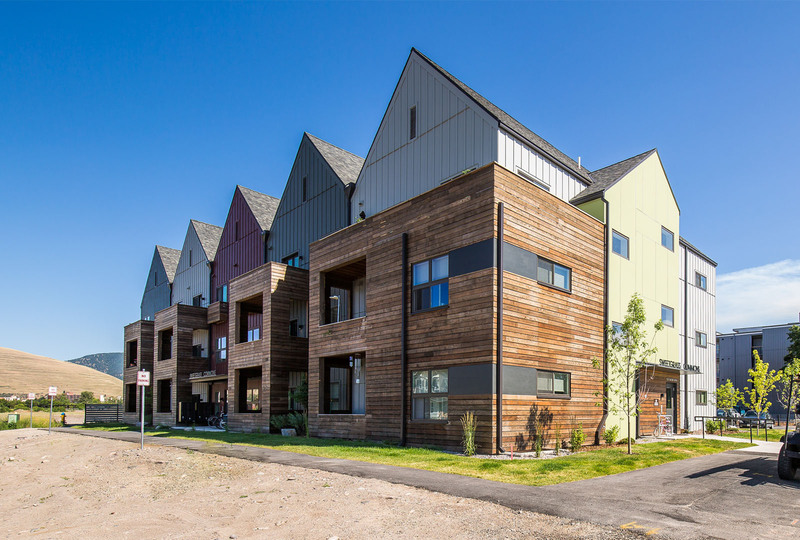 This project occupies a unique space in Missoula, riding the line between the single family and multifamily typology, past and future, underprivileged and affluent. At the center of these contrasts Sweetgrass Commons forms a new neighborhood landmark and acts as a positive catalyst for development. Construction was completed by Jackson Contractor Group in 2017.